A succession of harmonies, each individual harmony in the natural minor stretching across two measures and two octaves or so, forms the opening statement for this prelude. 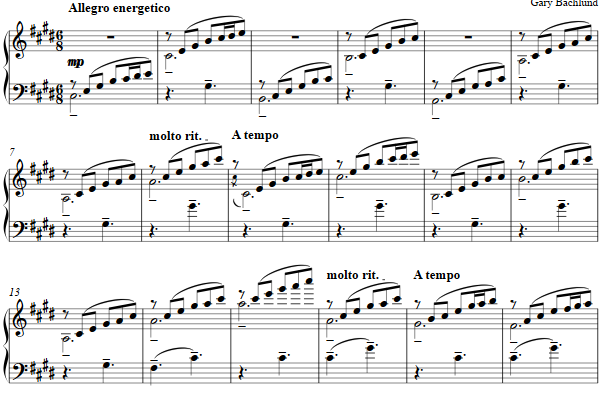 Variation in tessitura and the addition of another voice extend the form. 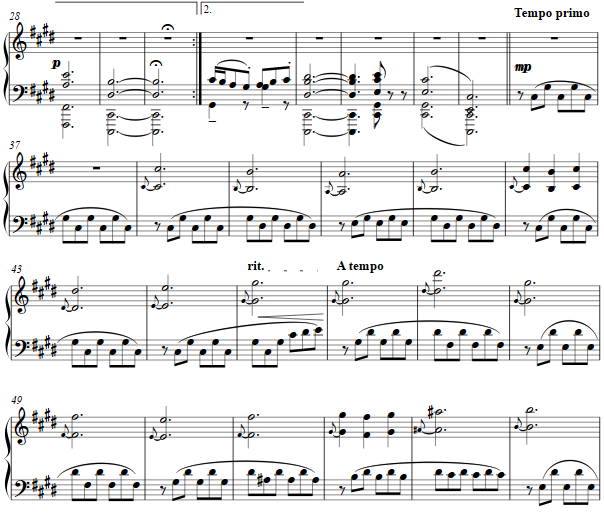 The fugue's texture begins as at measure 36, with the subject at measure 38. Thereafter answers, counterpoint, restatement and reference back to the prelude comprise this fugue.